People are confusing: Why we behave the way we do can be totally unpredictable. However, there are often patterns in our behavior to be found, especially when it comes to using a website – you just have to know where to look. 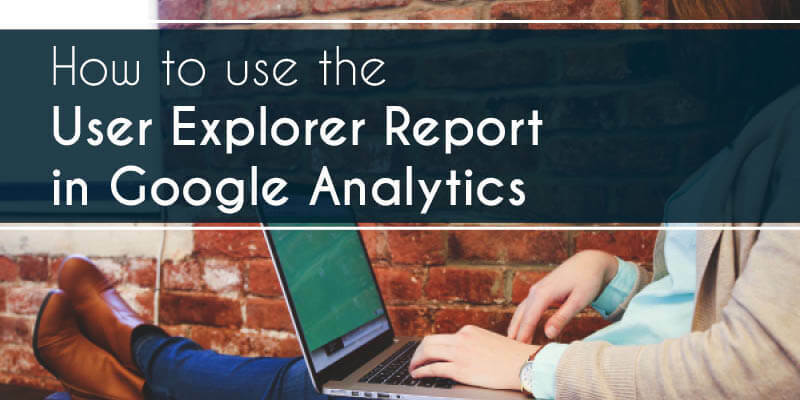 Enter: Google Analytics, and more specifically, the User Explorer Report. In order for you nonprofit to really take advantage of its website, you have to be sure to know what’s working for your audience and what isn’t. Sometimes looking at overviews isn’t insightful enough for that. 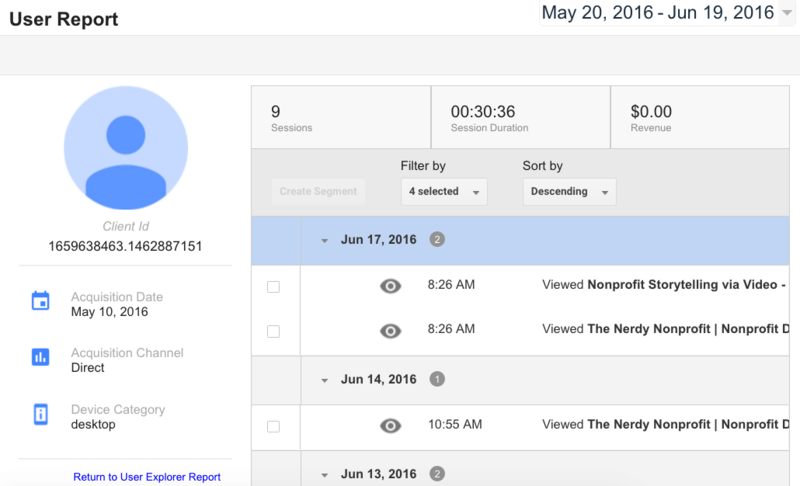 Luckily, Google Analytics came up with the User Explorer Report so you can see exactly how an individual user flows through your site, draw comparisons and be more aware of what your users want. Those long strands of numbers are actually just visitors to your site. Each visitor gets a number when they first land on your site, and Google Analytics then keeps track of their subsequent visits. 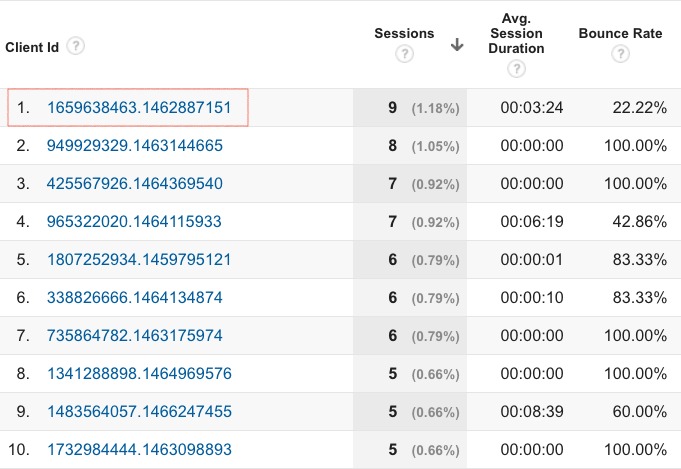 Visitor number one in the example above visited 9 times, stayed on for a little over 3 minutes on average, and had a low bounce rate of 22%. The dashboard for each user shows factors like when they first found your site, how long they stay on pages and what device they typically use. When do users typically leave a site? Which types of users end up filling out the contact us forms or taking some sort of action on the site? On the main User Explorer screen, study groups/segments of users. How do users usually behave if they are primarily a desktop user vs. primarily a mobile user? How do people use the site differently if they come in via organic traffic vs. direct or social? If you want to get a better understanding of your Google Analytics account, consult our Google Analytics Resource Center or contact us at ArcStone to set up a meeting.